Couple Slammed For Clicking A Pic From Edge Of Infinity Pool! People tend to do the most crazy things online to gain attention and popularity. From crazy dance or acting videos to posting pictures, they make their followers believe that the things they do are for real! Here is one such case of a couple who had apparently posted a picture of themselves from the edge of the Infinity pool. The picture has gone viral and the couple has been trashed for it. Check out how netizens have reacted to it and what is the actual fact behind the original picture. An Instagram-famous couple named Kelly Castille and Kody Workman decided to post a picture of themselves on the edge of an infinity pool. The picture showed Kelly hanging bravely from the edge of the infinity pool and being held up by Kody who was standing in the water. The picture was clicked at the Kayon Jungle Resort in Ubud. Once the picture was shared online, it went viral and netizens reacted with a ton of disparaging comments. 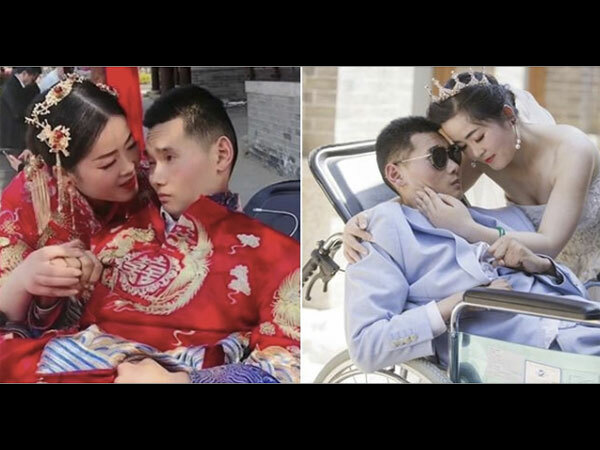 Most of the netizens slammed the couple for putting the Instagram 'likes' before their own safety, while on the other hand, some reproached them for being irresponsible and serving as an inspiration for the stunt. After seeing their picture being bombarded with the comments, the couple jumped to reveal that the picture was edited and the pool was not as it seemed to be in reality. They later shared the entire unedited picture and revealed that they just wanted to dramatise the picture a bit! According to reports, this is definitely not the first time that the social site bloggers have flirted with danger to get the perfect shot. There have been several such cases where people tend to fool their followers with fake pictures and stories.